The 16th International Kongre of the GRCA was held during September 2011 in Istanbul, Turkey. Copies of all the dokümanlari presented at the 2011 Kongre are available to download by clicking on the Paper title in the list below. Growing GRC Business through the use of Sustaining Practices. GRC and Sustainable Building Design. Is GRC a “Green” Building Material? New Characteristics of Textile Reinforced Concrete (TRC) by Titanium Dioxide Modification. Durability of GRC with Modified Matrices and Glass Mesh Reinforcement. Development of Self-Compacting Premix GRC. Shake Table Experiments for the Determination of the Seismic Perfomance of GRC panels. Deformations of precast Glassfibre Reinforced Concrete Exterior Wall Panels Under Ambient Conditions – a pilot study. The use of FRP Reinforcement in GRC Elements. The Masdar Institutes GRC Residential Facade. Application of GFRC in Curtain Wall Panels in China. Uses of GFRC Products in India. Fibrobeton, Quarter Century in the GRC Industry with the reference to Anthill, Mardan Palace and Capital Hill Projects. GRC - The Next Generation - Future Manufacturing Developments. Keynote: GRC for the Restoration of Historic Buildings - 18 years Experience With Shepard Hall, City College of New York. An Overview of GRC in New Zealand. Application of GRC in Curved, Sandwich Panels with EPS Core and Exterior Finish. 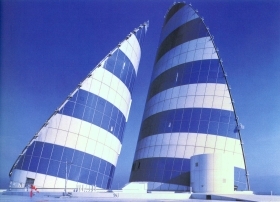 New-type Anti-seismic and Energy-Saving Building. Australian Developments in GRC Design. Concept to Realisation: GRC and Complex Facades. Composite Steel Rib Construction of GRC Box Rib Cladding Panels. The Design of GFRC Architectural Panels that meet Hurricane Resistance Specifications. Design Solutions and Seismic Requirements for GRC Projects in New Zealand. The GRCA Approved Manufacturers Scheme. 35-year Review of the GRC Technology, Equipment and Markets. Development & Application of Lightweight Decorative Concrete Cladding. GFRC Production with AR-Mat Glass Fiber. Anchoring Into Limited GFRC Thickness’ and a Solution for Lightweight GFRC Façade Framing. Recent Developments in China GRC Industry & Developments and Applications of Diversified Products. 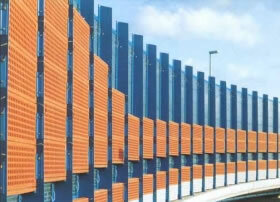 Project in the UK with Patterned GRC panels.